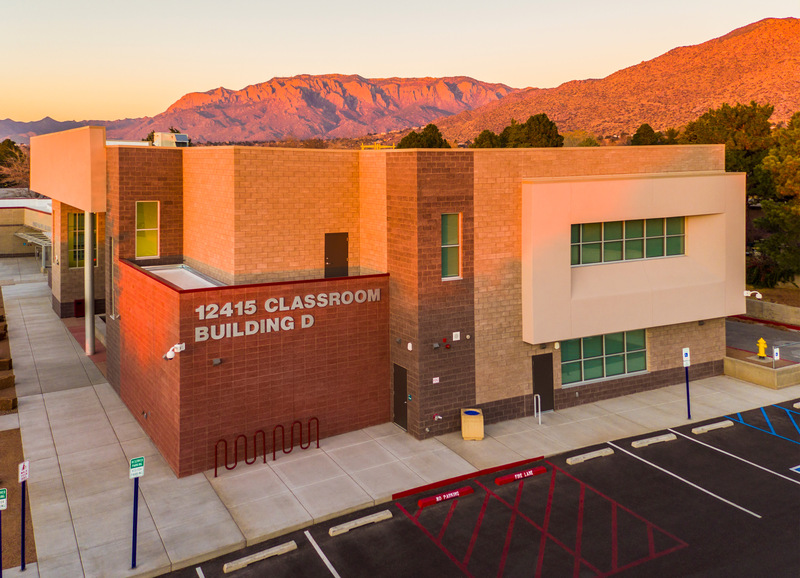 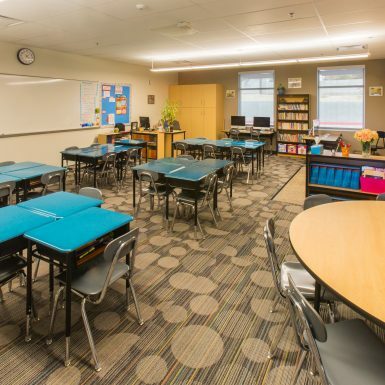 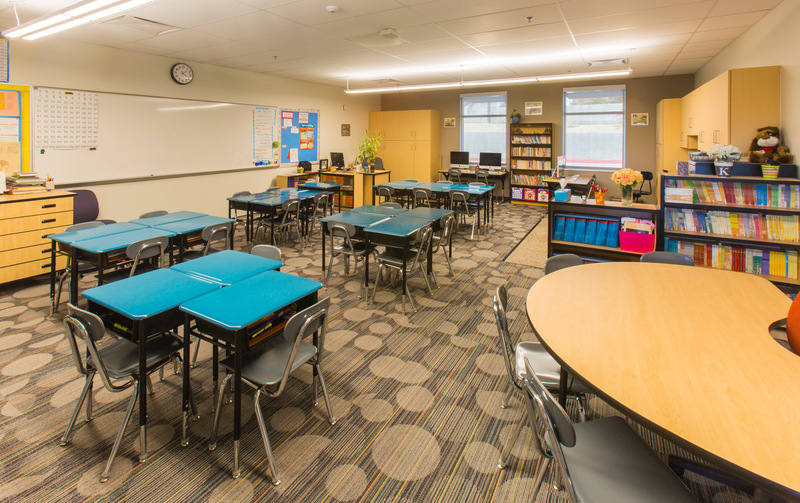 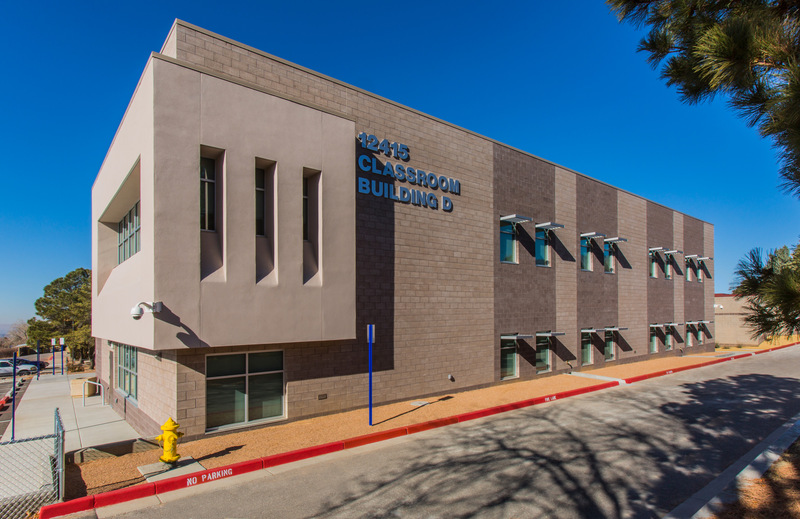 The new Classroom Building, located on the east side of the northeast heights campus, is two-stories and over 15,000 sf. 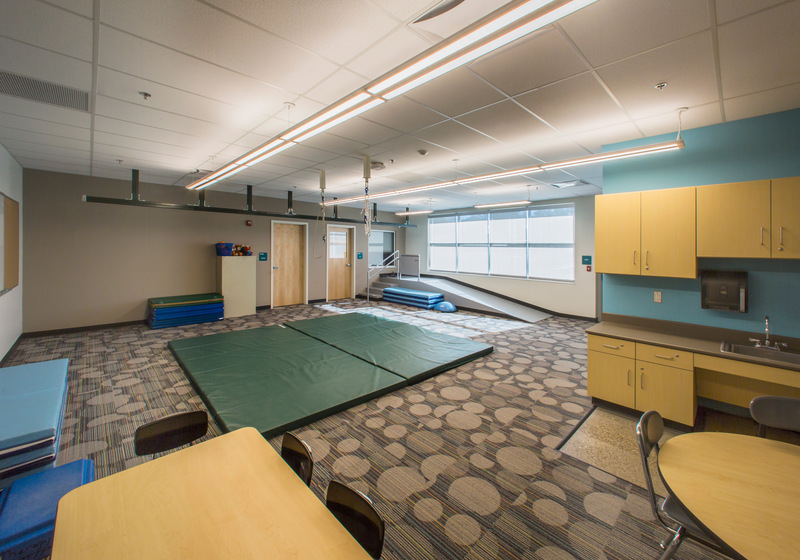 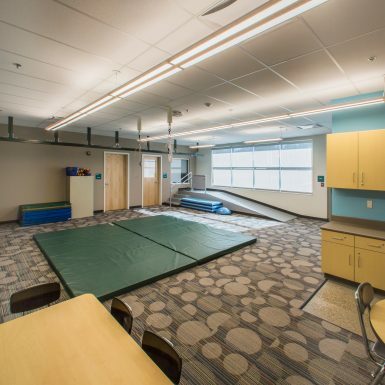 Working within tight site constraints the building is designed as a single loaded corridor and includes general classrooms, computer lab, and an Occupational and Physical Therapy (OT/PT) Classroom. 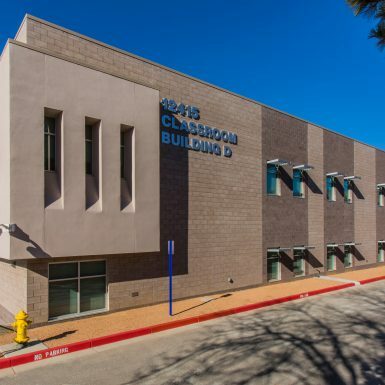 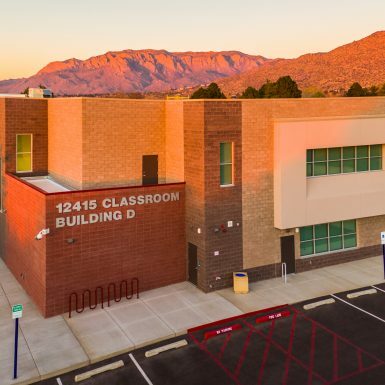 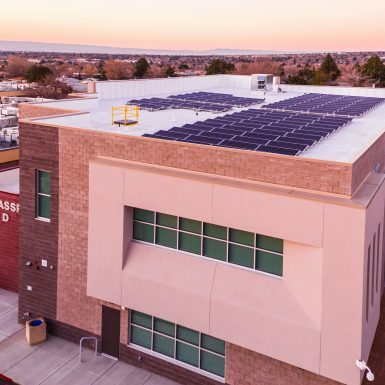 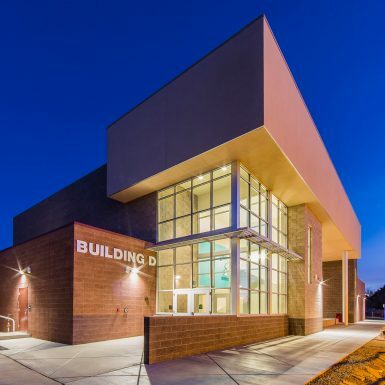 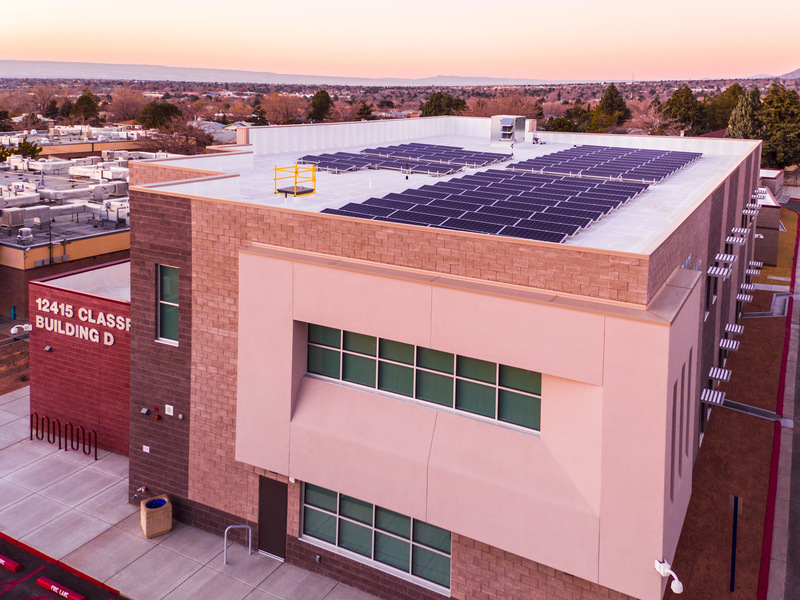 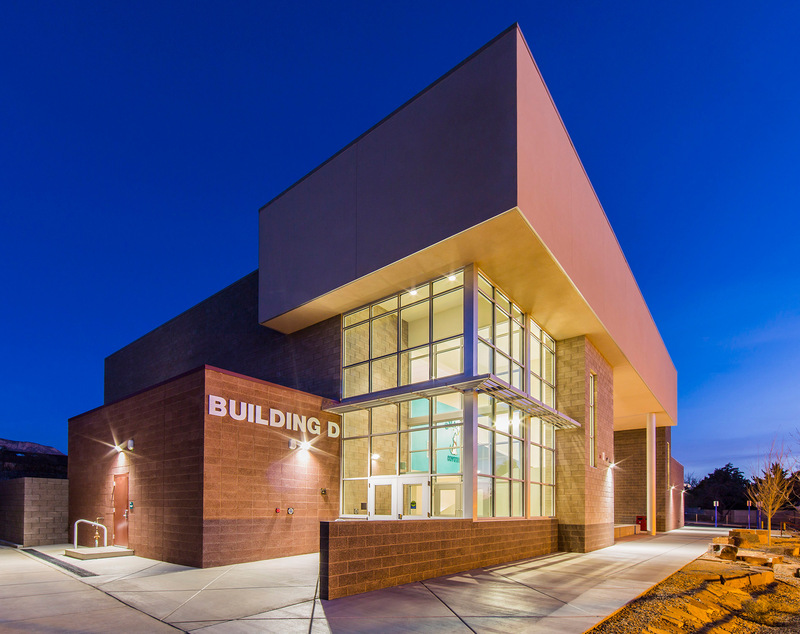 Sustainable design principles, energy efficient systems and a full photovoltaic (PV) array contributed to this building achieving a LEED GOLD certification.